Welcome to Offshore Ghana magazine- Ghana’s top oil and gas publication. 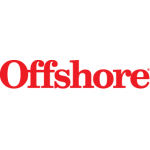 Offshore Ghana is a bi-monthly title that provides its readers with a wealth of articles discussing expert opinions, analysis, emerging trends, growth opportunities and challenges facing the oil and gas industry in Africa, and Ghana in particular. The readership of Offshore Ghana magazine is an influential range of top executives, successful businessmen and women in West Africa. Our collection of avid readers include top government officials, CEOs, CFOs, Chairmen and Directors as well as the generality of the public, who have a strong desire to follow developments in the increasingly important energy sector. Ghana’s best-selling oil and gas magazine also seeks to help advertisers connect with consumers in a timely and cost-effective manner- at competitive rates that maximizes their marketing budget. It provides advertisers with the right exposure.